After the harvest, the grapes are transported to the cellar where the destemming takes place with subsequent crushing. Everything is done in a very short time and at low temperatures to preserve as much as possible the aromatic substances that are the fundamental basis for this wine. After the first night of natural decanting and thanks to the cold, the wine is transferred to autoclaves where part of the natural sugars are transformed into alcohol to a maximum of 5% Vol; then is bottled under pressure to maintain unaltered its characteristics. A sweet emotion, a fresh caress to the palat. 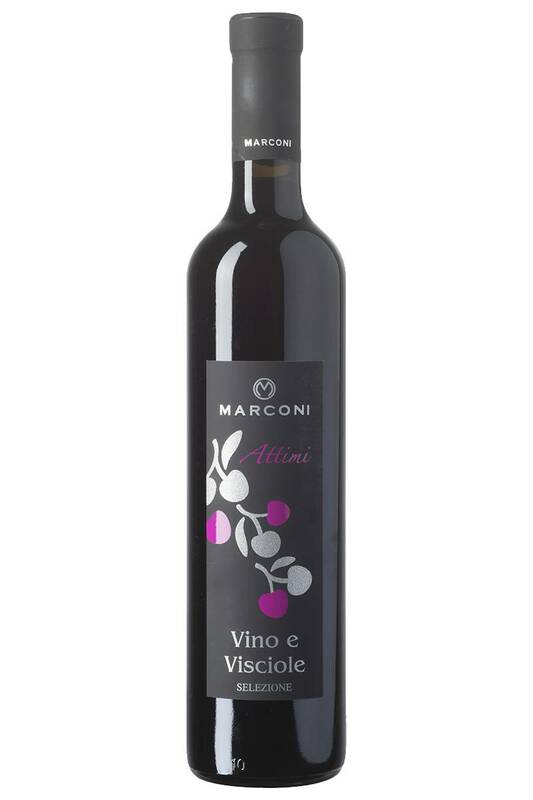 Intensely aromatic and gently sweet, this wine is perfect to start an evening with friends, or to pair fruit salad, icecream, or semifreddo. Excellent to close any meal, it also accompanies very well fruit salads or pastry. Maceration of sour cherries and sugar at a controlled temperature to obtain a thick and aromatic syrup that will be used for the refermentation of the wine. Ruby red with amaranth reflections. On the nose aromas of morello cherry, fleshy and ripe strawberry. Then berries and intense hints of roses. On the palate it’s soft, sweet and fruity. Long the fruity final. The fresh sour cherries are put to macerate with sugar in steel containers with a capacity of 10 hl equipped with a temperature control system. The maceration lasts for about 40 days and the syrup obtained is sweet, dense and fragrant. The second phase of processing is the union of the syrup with the wine; the two products are amalgamated in steel tanks and the refermentation of the wine is triggered by the addition of selected yeasts. The fermentation is stopped by using the cold once reached the desired gradation that doesn’t exceed 14.5% Vol. 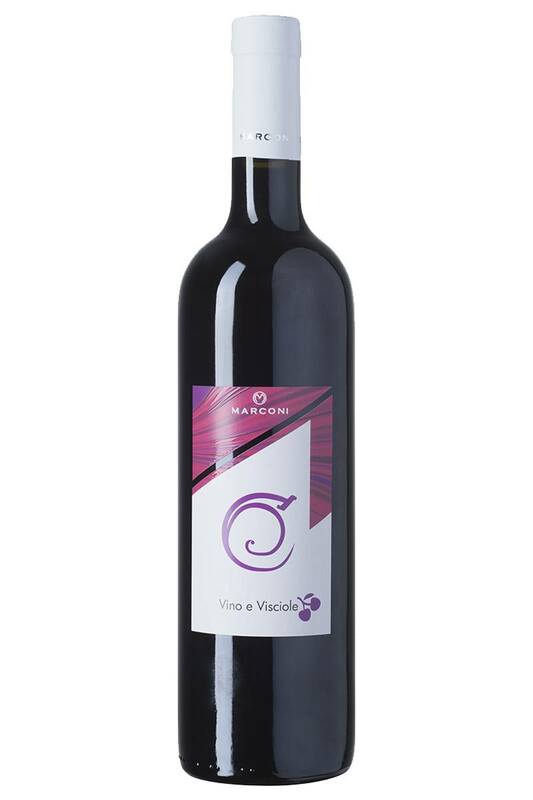 On the nose aromas of marasca cherries, berries, embellished with flavors of violet and cyclamen. 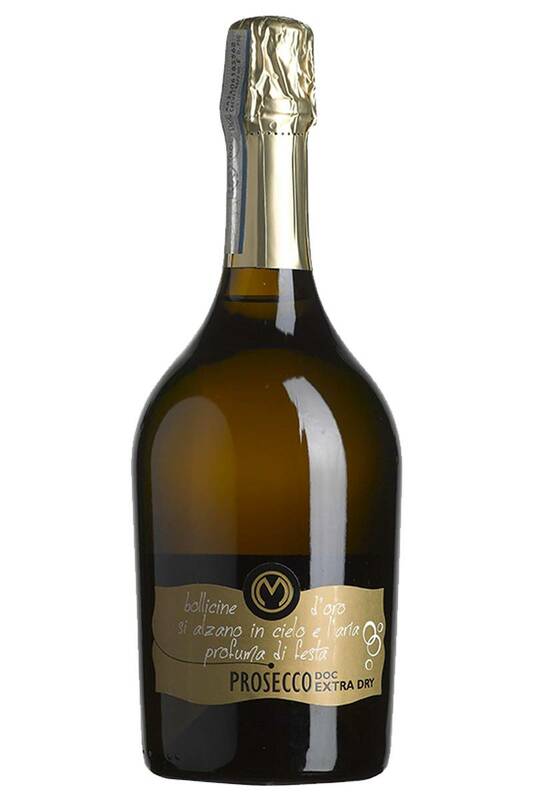 Full and elegant taste, harmonious and with a persuasive finish of full fruits and purple flowers. Seasoned cheeses, chocolate and bitter chocolate cakes. Metodo di spumantizzazione in autoclave (charmat lungo). 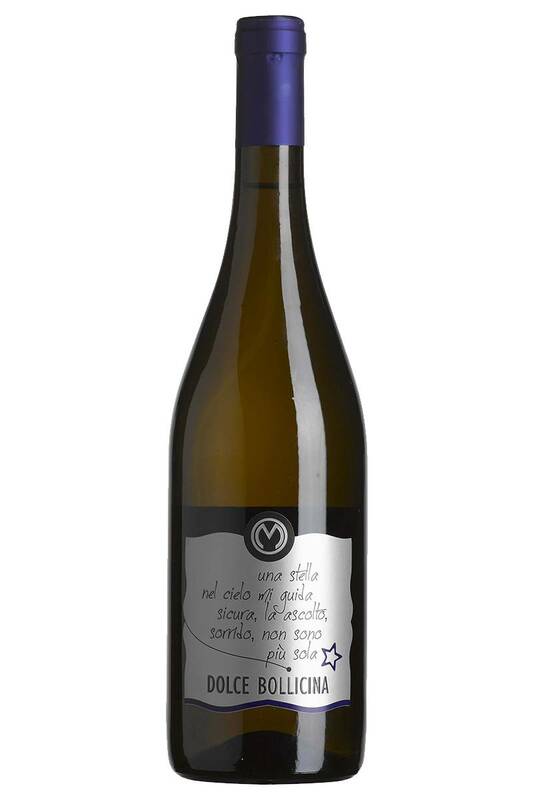 Il vino si presenta con un colore giallo paglierino chiaro, vivo e brillante. Il suo profumo sottile e caratteristico con un lieve sentore di mela acerba e fiori d’acacia; il sapore è secco, asciutto, fresco, sapido, con buona persistenza che ricorda le sensazioni olfattive. Nasce per accompagnare l’aperitivo, ma per la sua leggerezza ed eleganza si adatta a tutte le occasioni; è ottimo anche a tutto pasto in quanto si sposa bene con tutti piatti a base di carne e di pesce.